The waxing Gibbous Moon (11.9 days old) was visible over the western horizon on April 17, 2008 (07:30 U.T.). 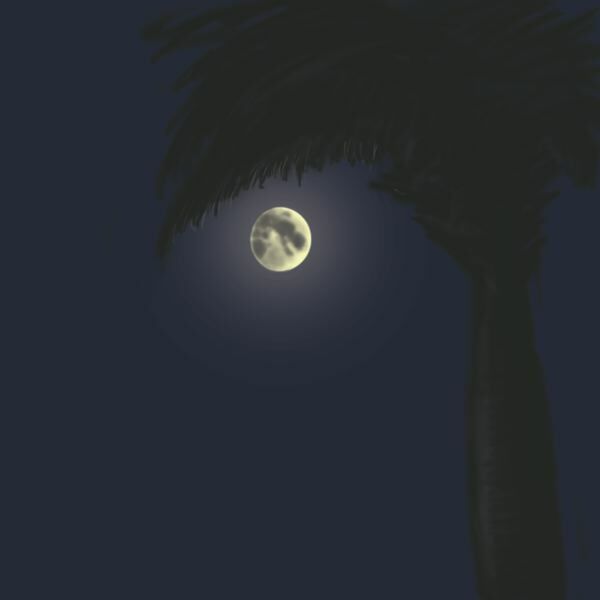 The Moon appeared a yellowish tinge while visible beneath a palm frond. The scene was both eerie and beautiful. A digital rendering produced in Photoshop CS3. Fantastic composition. Creates the feel of wanting to be there. A great sketch to be proud of!